The Monetary Authority of Singapore (MAS) has issued a warning against fraudulent websites that are soliciting cryptocurrency investments. In an announcement dated January 29, the MAS cautioned the public against websites that are misleading people by using fabricated information attributed to the government. 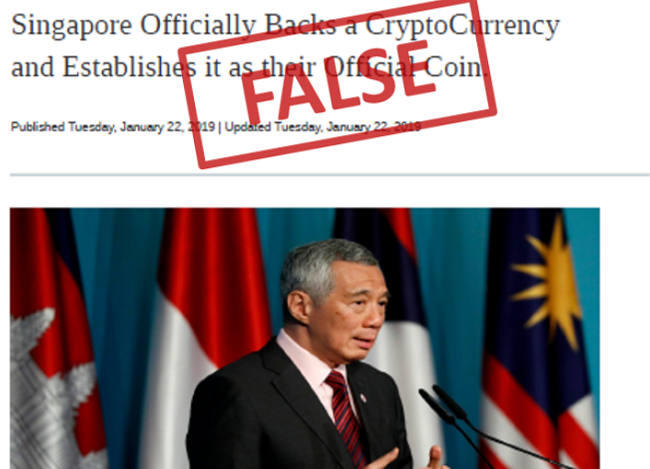 “These websites falsely claim that Singapore is adopting a cryptocurrency as its official coin. They also claim that a firm has been appointed exclusively to market this cryptocurrency. The sites ask readers to provide their personal and financial details to purchase the cryptocurrency. In September 2018, the MAS had issued two such warnings against fraudulent websites soliciting cryptocurrency investments.